A U.S. judge on Monday halted the Trump administration's policy of sending some asylum seekers back across the southern border to wait out their cases in Mexico, stopping a program the government planned to use to stem a recent flood of migrants. The program was launched in January and was one of many policies aimed at slowing rising numbers of immigrants arriving at the border, many of them families from Central America, that swelled last month to the highest level in a decade. 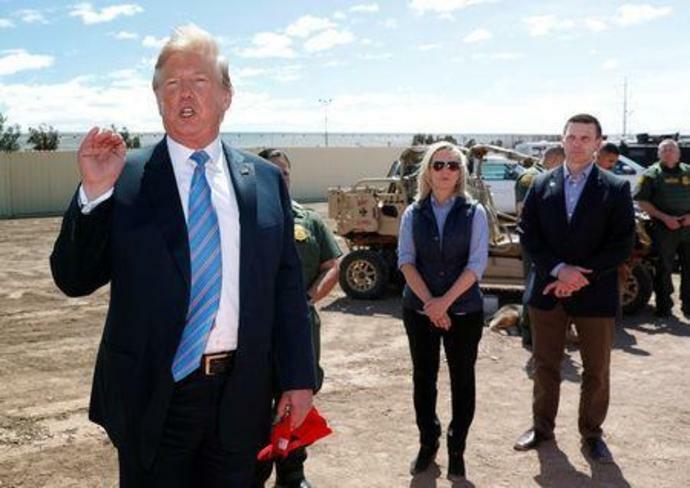 The Trump administration said last week it planned to expand the program of sending some migrants to wait out their U.S. court dates in Mexican border cities, under a policy known as Migrant Protection Protocols, or MPP. However, Seeborg said that the Immigration and Nationalization Act does not authorize the government to return asylum seekers to Mexico the way the government has applied it. He also said the policy lacks safeguards to protect refugees from threats to their life or freedom. "This is a great ruling," said Judy Rabinovitz, a lawyer with the American Civil Liberties Union, which was one of the groups that brought the case. "This is what they were planning on implementing on a large scale. That would have been a complete game changer in the way our asylum system works," she said. Rabinovitz said the groups that brought the lawsuit needed to discuss what could be done for the hundreds of refugees who are awaiting their cases in Mexico. She said as their cases are heard, they will be returned to the United States, but that could take months. Gabriela Orellana, 26, an asylum seeker from El Salvador who was scheduled to have her first hearing on Tuesday, was delighted by the news of the judge's ruling. "I'm crying from happiness," she told Reuters. She is not one of the plaintiffs in the case. While illegal border crossings were higher in the early 2000s, most of those apprehended at that time were single men, often from Mexico. Kirstjen Nielsen resigned as Secretary of Homeland Security, the department that oversees immigration, on Sunday to be replaced temporarily by Kevin McAleenan, presently commissioner of U.S. Customs and Border Protection. The administration plans to announce Wednesday that the U.S. will begin enforcing a provision of a 1996 law known as the Helms-Burton Act that allows Cubans who fled Fidel Castro's regime to sue companies that have used their former property on the island. Like his predecessors, President Donald Trump had previously waived the provision, Title III, because enforcing it could result in a flood of litigation against foreign companies.